Free quotes in 3 minutes. That's all. Here is where you get to lift the tarp off a used Mazda engine, priced right. Free quotes. Free shipping. A money-back guarantee on any used engine purchase. The caveat? They sell fast. Dialing is up to you, speedster. Get full info whether it be availability, Mazda engines size, financing or a trunk-load of questions. For more information on standard Mazda engines at roll-out, scroll down. Those listed are for model years 1998 or younger and applies to used engines as well as rebuilt Mazda engines and remanufactured Mazda engines for sale. Thanks for gearing down and drifting by our used engine warehouse. 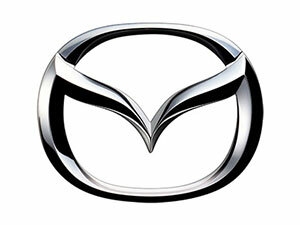 Family-owned since before Mazda Motor Corp. branded its logo. Operated before serial lead-footed drivers became fired up over rotary engines and before you made your initial Mazda vehicle purchase. 30 years. Uncertain? Start with prices. End with a guarantee. Your freedom of choice. 3) What engine component you're looking for? That's it. Three quick minutes. Blaze a path to that title. Scribble the address on an envelope. Look, sometimes there's an engine coming from a Mazda car, truck, van or SUV that was 'totaled'.The insurance company wrote the whole thing off. Engine is fine. Maybe it was totaled early. Let us ponder that the used engine has a few-hundred miles on the original odometer. We find it. It is a perfect fit for yours. Because all is lined up before it trails the yellow lines across the warehouse to the freight truck. You nab it. Your trusty certified mechanic cherry picks it. He calls. Ready. You dump yourself into the driver's seat like the last thousand times. Only, now, its engine has a few-hundreds miles on it. Sweet, huh? That will not happen unless you call, speedster. Yours might be in the warehouse, right now. Three minutes. No obligation. We cannot check without your VIN. When shelves rattle in the warehouse over your used or rebuilt engine, you know its origins. No obscure provisions. No wish-washy sellers. Order safe. Call now while it's on your thoughts. You're assured of its history and mileage. These are verified, first. Then, we crawl over it with a fine toothed baby comb. We run it. Real certified automotive techs handle your baby. No bones. No scrap. Only a solid used engine to be straddled into your Mazda. Fast and free shipping. In days. After bouncing around rates, check a warranty – 30, 60, 90 days depending on whether you are considering a used, rebuilt or remanufactured Mazda engine. The remanufactured versions can last a generation or two, longer than most. It depends. We crack open that mysterious box for you. No mechanic's license required of you. Length or brevity of warranties on the engines is about the engine quality, age, mileage and other factors. Warranties are juggled, mostly, on the type of used engine: used engines with various mileages, a rebuilt Mazda engine for specific model or a remanufactured Mazda engine where you'll never think about it again. Let's be real. It's your budget, not anyone else. There are tons of options. We cracked it wide open. Don't forget the guarantee. Above and beyond, speedster. Ships fast. Ships free to US locations. We have been shipping internationally places including remote locations, like the outskirts of the Amazonian jungle, quiet beaches of Belize and many a hotel throughout Europe where our clients had been traveling and some where they live and work. Call for availability and pricing for international freight. Finally, you may not require financing, but if you do there is no: Sign here. Done! Not. You get the real info. You will have intimate understand of what's in store. You will know what to expect three years down and not burned by a monthly heat wave. Don't break a sweat. We reveal. You choose. It's not just your ride. It's your life. That's why you get a guarantee on any used Mazda engine purchased at Sharper Edge Engines.